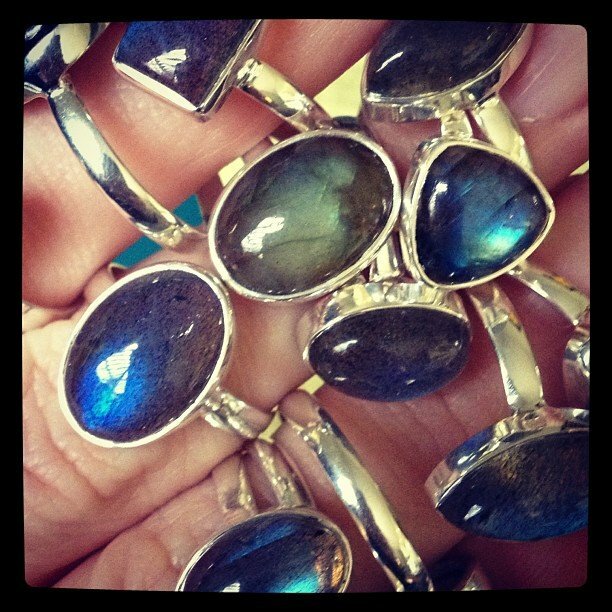 Crazy #labradorite sterling silver rings! Labradorite is transforming, a useful companion through change, imparting strength and raises consciousness. Excellent for strengthening intuition-promoting psychic abilities and powerful in revealing the truth behind illusions. It banishes fears and insecurities, and strengthens faith in the self and trust in the universe.